LS-F10143 is a 96-well enzyme-linked immunosorbent assay (ELISA) for the Quantitative detection of Mouse 1,25 Dihydroxy Vitamin D3 in samples of Serum. It is based upon a Competitive EIA assay principle and can be used to detect levels of 1,25 Dihydroxy Vitamin D3 as low as 250 femtomoles per liter. This assay has high sensitivity and excellent specificity for detection of mouse DHVD 3. No significant cross-reactivity or interference between mouse DHVD 3 and analogs was observed. Note: Limited by current skills and knowledge, it is impossible for us to complete the cross-reactivity detection between mouse DHVD 3 and all the analogs, therefore, cross reaction may still exist. This assay employs the competitive inhibition enzyme immunoassay technique. 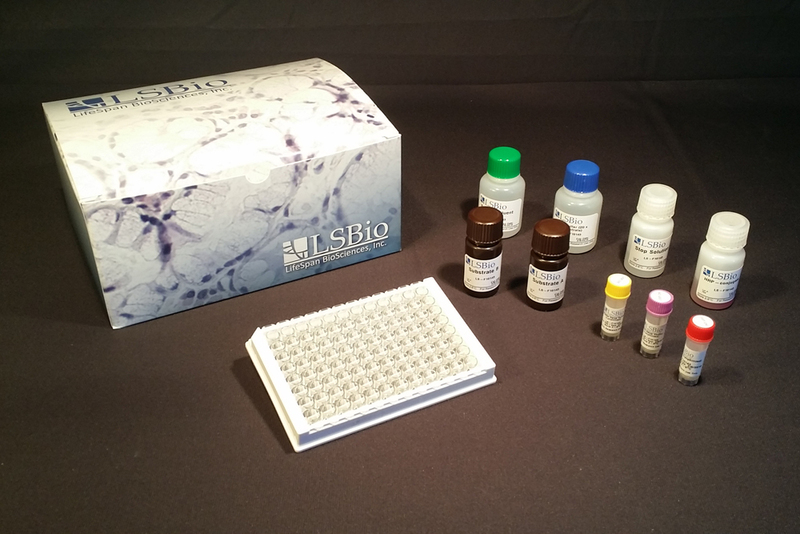 The microtiter plate provided in this kit has been pre-coated with an antibody. Standards or samples are added to the appropriate microtiter plate wells with Horseradish Peroxidase (HRP) conjugated DHVD 3 Hapten. The competitive inhibition reaction is launched between with HRP-conjugated DHVD 3 Hapten and DHVD 3 in samples. A substrate solution is added to the wells and the color develops in opposite to the amount of DHVD 3 in the sample. The color development is stopped and the intensity of the color is measured.